The big issue with 3D printing is how 'normal' people can make 3D objects from printing. 3D scanners are the answer, but many are very expensive. This one seems to solve the problem. Don't feel like dropping $25,000 on a CreaForm 3D Scanner? MakerScanner has your back with a DIY project that is totally open source, and can be made with some common consumer electronics. Best of all, it works pretty well! In a stroke of genius, MakerScanner's creators made it so all of the parts of the 3D Scanner can be made with a 3D printer like the MakerBot or similar. 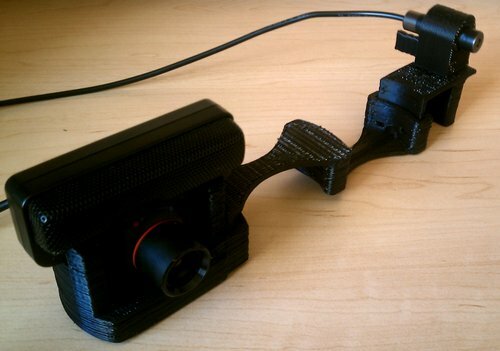 The main parts are a PS3 Eye USB Camera and a laser line pointer, which are all held together with the 3D printed mount.